I have loved using eyeliners as long as I can remember-- in fact, my first makeup loves as a teenager were eyeliners accompanied by shiny lip gloss (so frankly little has changed). 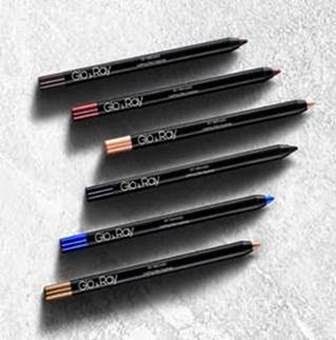 My newest eyeliner love is the fab UK brand Glo & Ray, and if you love deep dark ultra pigmented black eyeliners, then their Sky Breaker Lasting Silky Eyeliner in Midnight Black is just what you have been seeking! Glo & Ray is an exciting addition to the UK cosmetics scene. Drawing inspiration from light to create a stunning collection that seeks to illuminate individual beauty. Bringing together luminosity and vibrant colour to create a harmonious collection that compliments every woman’s unique look. 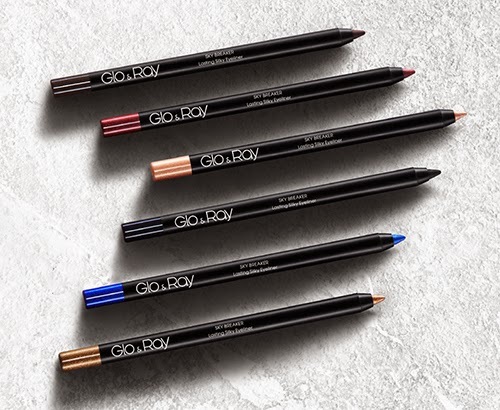 Dramatic eyes just got easier with the new Sky Breaker Lasting Silky Eyeliner collection from online cosmetics brand Glo & Ray. Launching in six bold and bright shades, with a variety of matte, metallic shimmer and sparkling pearl finishes the new Sky Breaker collection features a unique ultra-adhesion formula technology to deliver a rich and intense shade. An extraordinarily soft and smooth glide provides a fool proof application in just one strike, while the budge proof waterproof formula ensures a long lasting, smudge-free effect. Glo & Ray Sky Breaker Lasting Silky Eyeliner in Midnight Black is a very creamy ultra pigmented eyeliner that effortlessly glides across the skin without any pulling or tugging whatsoever. It deposits highly pigmented color, and once it sets it is truly budge-proof until you remove it. Midnight Black is one of those miraculously dark and rich black shades that it so flattering on the eyes. The formula is transfer-proof and does not fade, and this high quality eyeliner rivals the efficacy of the big luxury brands at a fraction of the price! 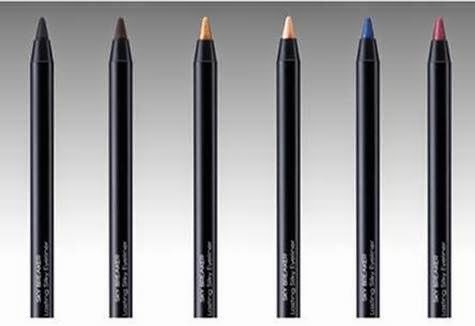 • Extraordinary soft and smooth glide achieves the perfect eyeliner with just one single strike. • Ultra-adhesion formula technology makes the shades rich and intense, especially suitable for dramatic eyelines. • 6 shades with matte, metallic shimmer and sparkling pearl finish. • Waterproof and budgeproof formula technology makes the eyelines long lasting and smudge-free. For defined eyes that will last the long summer days and warm nights try Midnight Black and Dark Brown, essential finishing touches for the ultimate smokey eye. For a lighter touch, add sun-kissed appeal to your beauty look with Golden Age or Champagne Pink. Seeking a punch of colour? Try Ocean Blue or Burgundy, bold brights that are bound to become festival favourites for those looking to stand out on the field. Overall assessment: A truly fantastic eyeliner, and I am so intrigued by the line that it certainly warrants further investigation. One look at their website leaves me wanting so many of their products, and I suspect that you will feel the same way!